The 16th annual edition of Cosmoprof North America opened today at Mandalay Bay Convention Center in Las Vegas. The show runs through Tuesday and includes the BeautyID Awards on Monday afternoon. 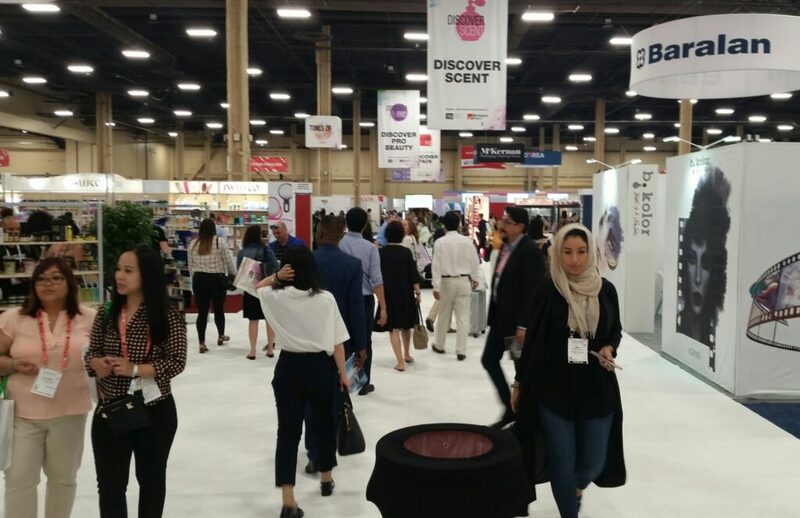 Opening day of Cosmoprof North America in Las Vegas. Cosmoprof also holds thier shows in Mumbai, Hong Kong and their original location, Bologna, Italy. SPRAY Technology is exhibiting at the Las Vegas show, distributing our July Hair Care issue.